Being a reader, a writer, and a librarian, I have a lot of bookshelves in my house. So many in fact, that you’d think I’d have plenty of room for the new book I’d recently purchased—it wasn’t even a thick book, only 249 pages. 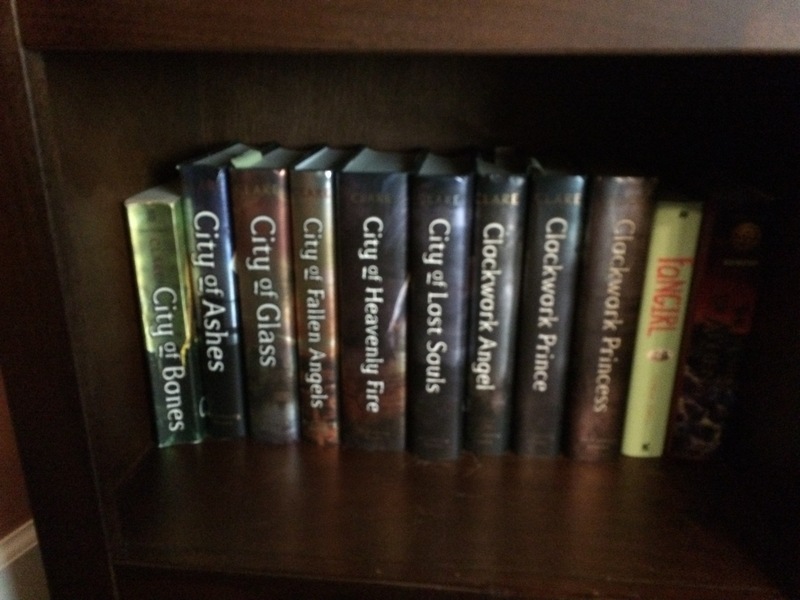 But no, when I attempted to squeeze it on the bookshelf in my room, it wouldn’t fit. 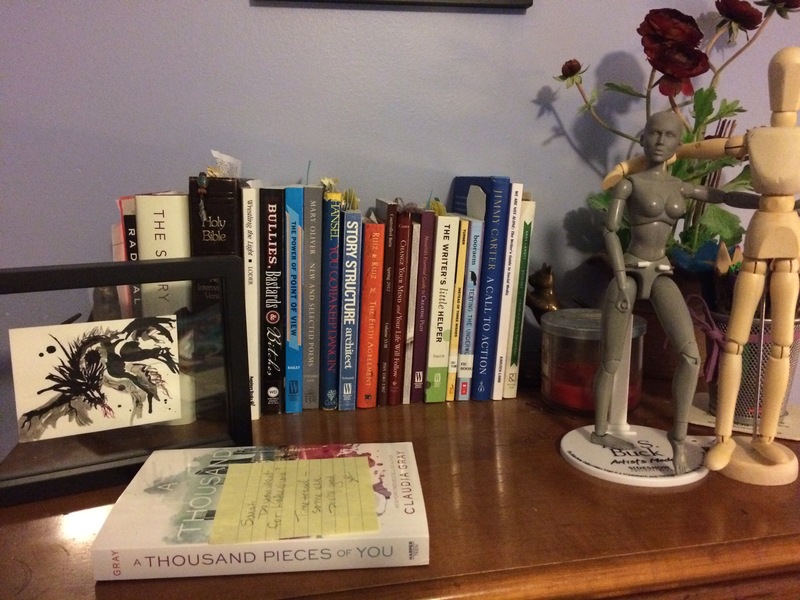 Nor would it fit with the books on the top of my husband’s dresser. 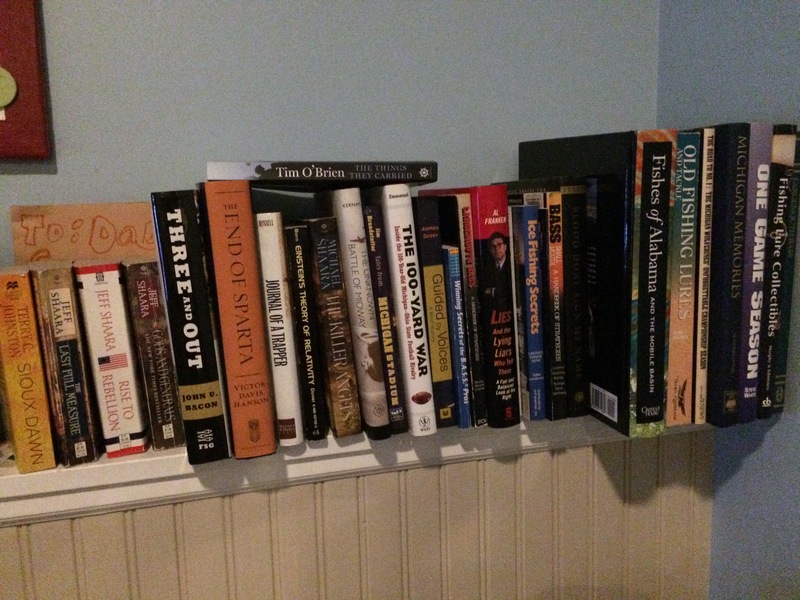 No room on the living room bookshelf either — and certainly not on the shelves downstairs, crowded three times deep. As I dug through my books, wondering if there were any I could bear to get rid of, I pondered what would be gained, and what would be lost if we went to all ebooks. 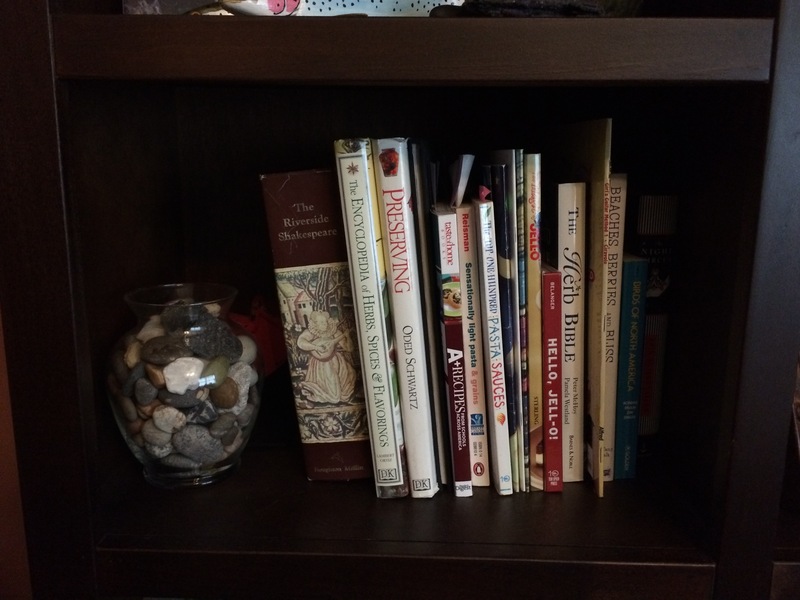 Obviously, on a virtual bookshelf I could have thousands of books and never run out of shelf space. 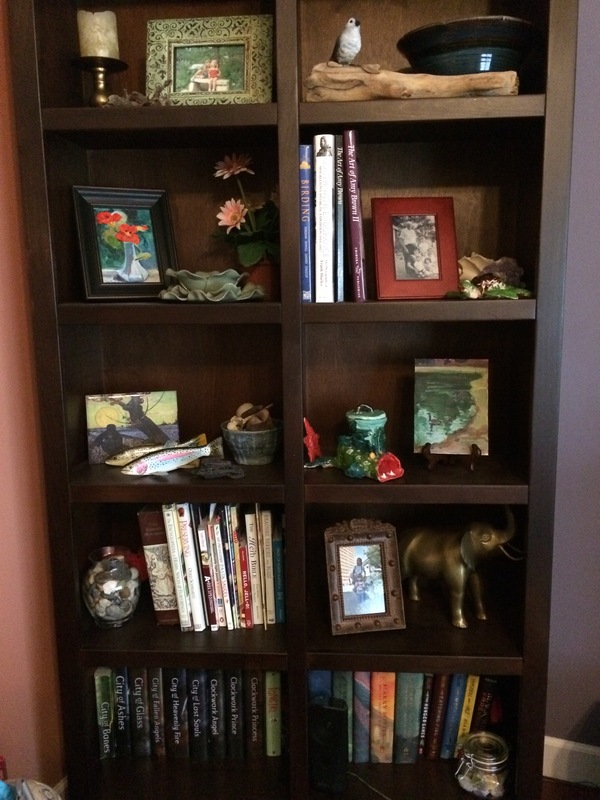 But on the flip side, bookshelves instill character and personality in a room. 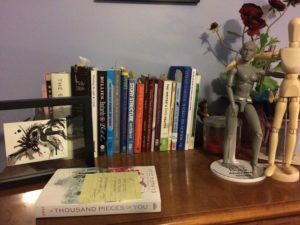 If books aren’t a Feng Shui thing, they should be. All those stories, ideas and possibilities create good mojo—I’m sure of it. When I go over to someone’s house, I love to look at two things — what they hang on their walls, and what is on their shelves. 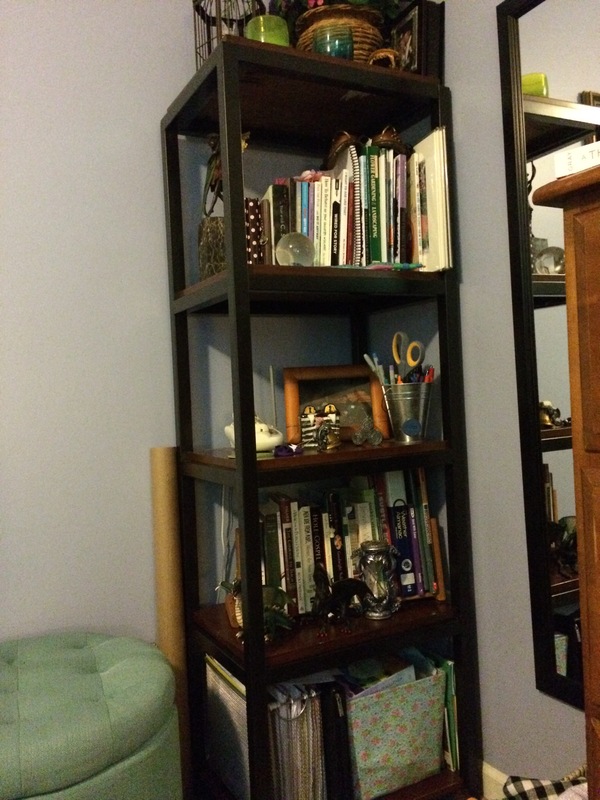 I don’t like to think I’m judgmental about bookshelves, but I probably am—just a little. Mostly if the person doesn’t have any books at all on the bookshelf. I mean really, that’s as sad as having an ice cream cone with no ice cream. So take a look around you. 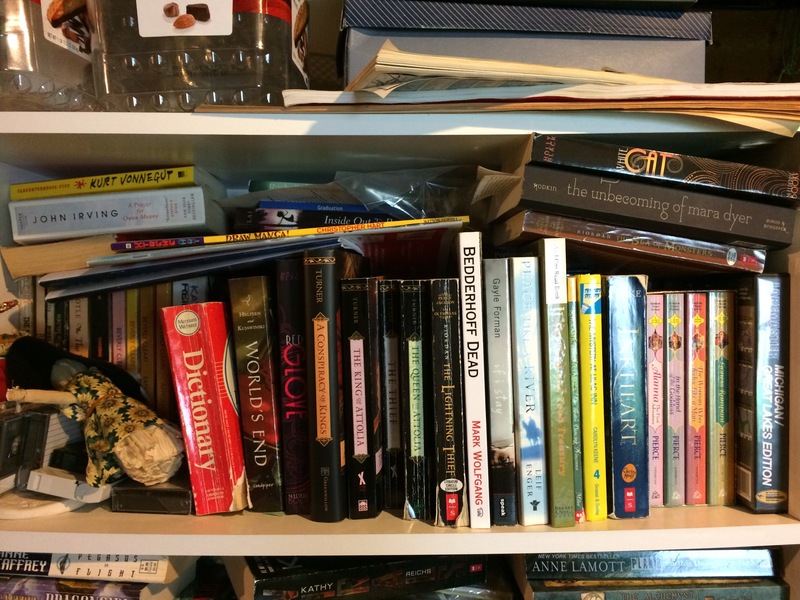 What does your bookshelf (or bookshelves if you are like me) say about you? Maybe it should be a new type of personality test. 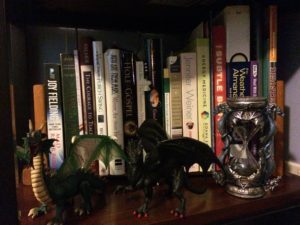 All Fiction on your shelf? You’re an F: a dreamer, an escape artist, and a traveler. You are empathetic and can often see multiple ways of looking at an issue. All Non-Fiction on your shelf? You’re an NF: a realist, someone who believes in the here and now—as well as in the power of the past. You feel more comfortable with facts than with possibilities, and you believe the more you know, the better off you will be. Does you bookshelf host a number of both fiction and non-fiction books, like mine? You’re an FNF. You don’t believe you can really dream, reach for the stars, or try new things until you know the facts about this life, this world we live in. You are a realistic dreamer or a dreamy realist. Start where you are and go from there. Stay with me here, I’m just warming up. How about Literary or Genre reading? 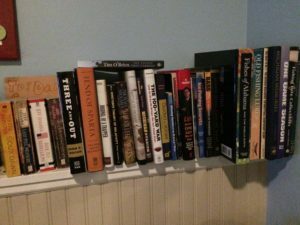 An L type of bookshelf says the reader is well educated (or striving to be), likes to go beneath the surface of things. Often more reserved, this reader tends to observe and analyze things before jumping in. L readers appreciate the story and the language as a form of art. 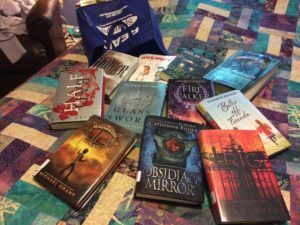 A G reader, on the other hand, likes to get what they want, and quickly. They tend to be action-oriented, and don’t believe in beating around the bush. How am I doing so far? Look at those shelves. Do I know you yet? 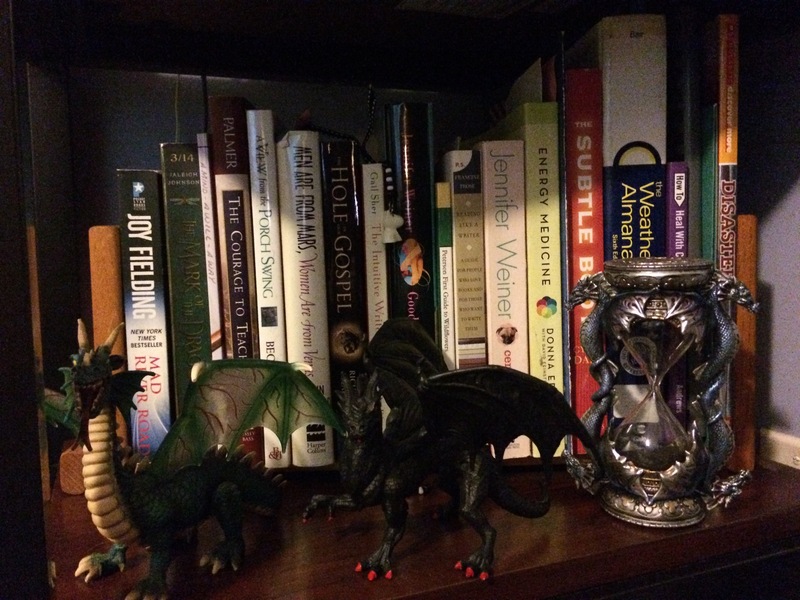 Some people like their bookshelves arranged in a certain order. 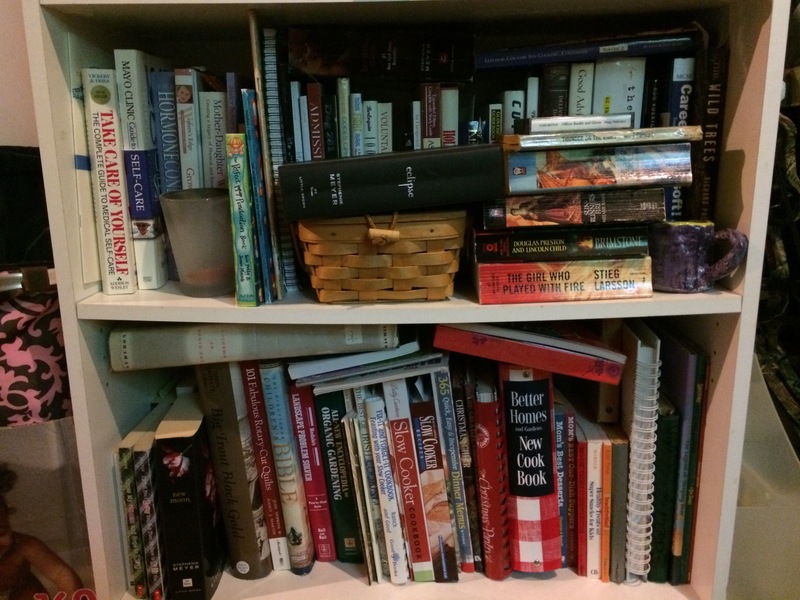 Organized—or O bookshelves—have some sort of orderly system. 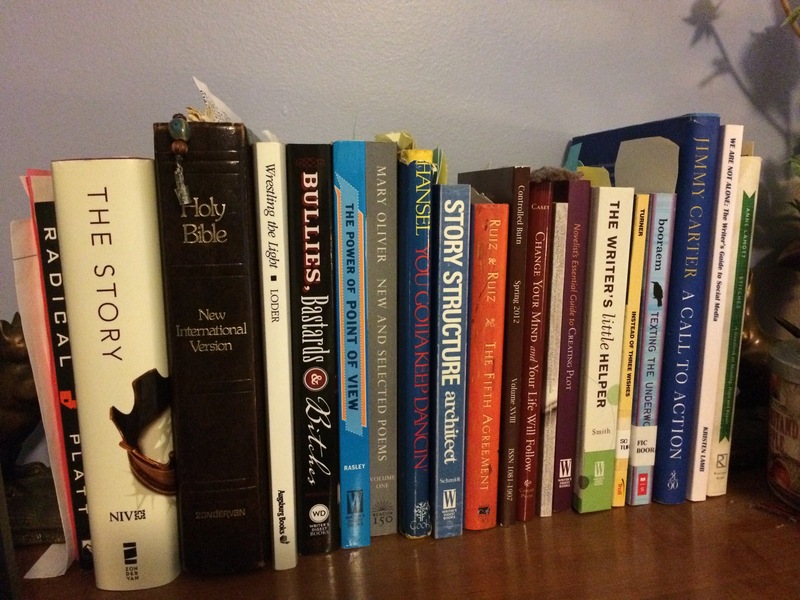 Books are arranged by size, color, theme, genre, author. This person is efficient, organized, and likes to have things make sense. Being a librarian, I know all about this dewey decimal (or should I call it OCD?) mentality—but my shelves at home? Not so much. Random–or R people–accept that life can be random. 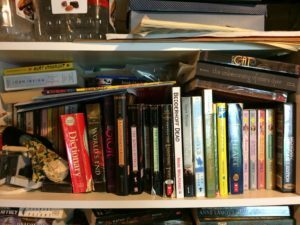 Their bookshelves are a mishmash of titles, genres, sizes, knick-knacks, and treasures of all sorts. No particular order means searching for things, but the R person believes life is all about the journey. Then there are the Trinkets versus the No Trinkets. The NTs are purists at heart. 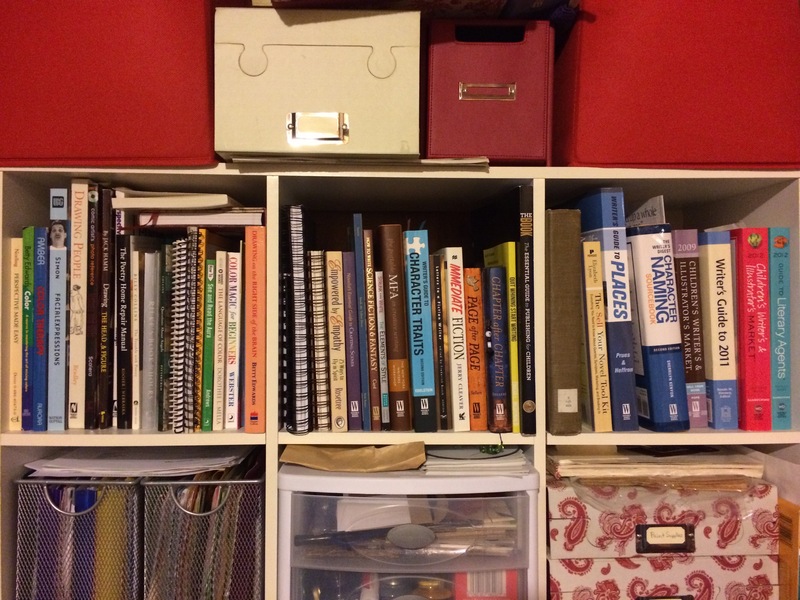 Like the O bookshelf people, they like things to make sense, to have a clear purpose, and to do that purpose well. T bookshelf people are those who like to mix knick-knacks or trinkets in among their books. They are typically good at multi-tasking, and tend to be big-picture people rather than detail orientated. 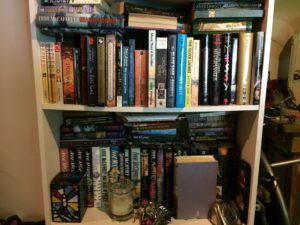 Does your bookshelf contain mostly new books? Or do you love that old book smell and feel—yes, they do have a particular smell and feel about them. No doubt because of the paper used. OBs are seeped in tradition and NBs actively seek out the next great thing, the next experience. Paperback or Hard-cover? PB people are frugal. Often they read to be entertained, and therefore want the freedom to travel far and wide, to read whatever suits their fancy. HC book lovers are the loyal, committed sort. Certain authors are like members of the family, and HC people want that relationship to stand the test of time. There are the Self-Help book people (SH = independent, over-analyzers), the How-To manual sorts (HT = Detail people who like to follow the rules), the Memoir/Biography/Autobiography collectors (MBA = a people person, this individual is fascinated with how others live), the Inspirational book readers (I = those looking to deepen their spiritual experience), and the TextBook people (face it, TB people are either students who paid way too much for their books and consequently don’t want to sell it back for a fourth of the cost, or teachers who are never sure where or what they will be teaching). 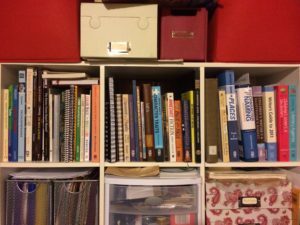 And finally, any good bookshelf analysis would be incomplete without mentioning the people who collect (and even sometimes read!) 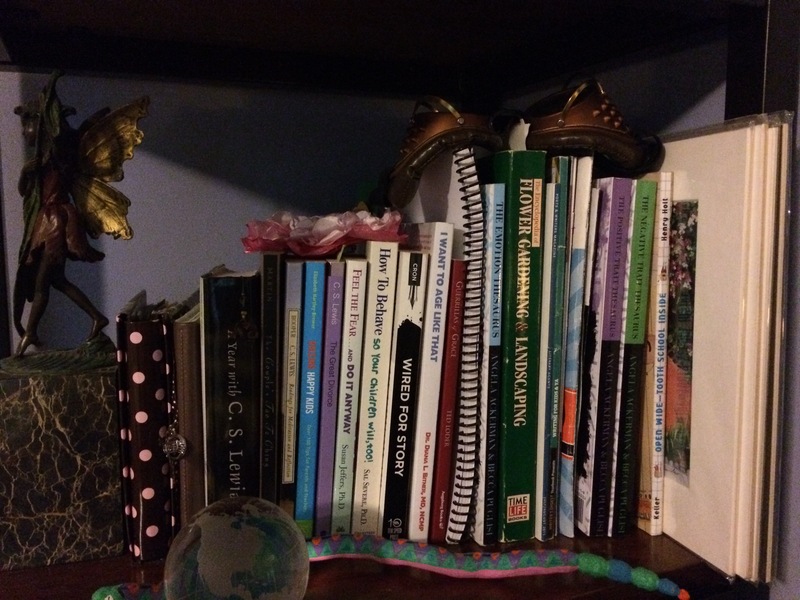 Poetry books. P people are deep—or want to be anyway. They are always looking for the essence of things, of life. Emotional—though they may not show it—these are your dreamers, your artists, your never-take-anything-at-face-value sorts. 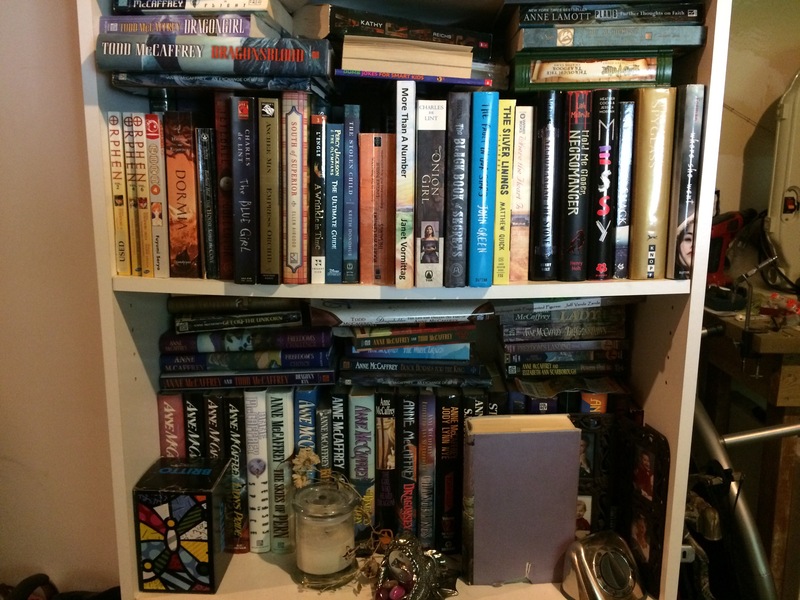 So what do my bookshelves say about me? That I’m a FNF, L, G, O, R, C, T, NB, OB, P,B HC, SH, I, TB (only the Shakespeare book, I swear. It cost me half a year’s worth of meals. ), and yes, a P.
Although, now that I think of it, it might just be easier to say I’m a reader and a writer. Husband’s bookshelf down in the man cave. Summer Reading (from 1 of my libraries) — kept in a bag because there is no room on the bookshelves. 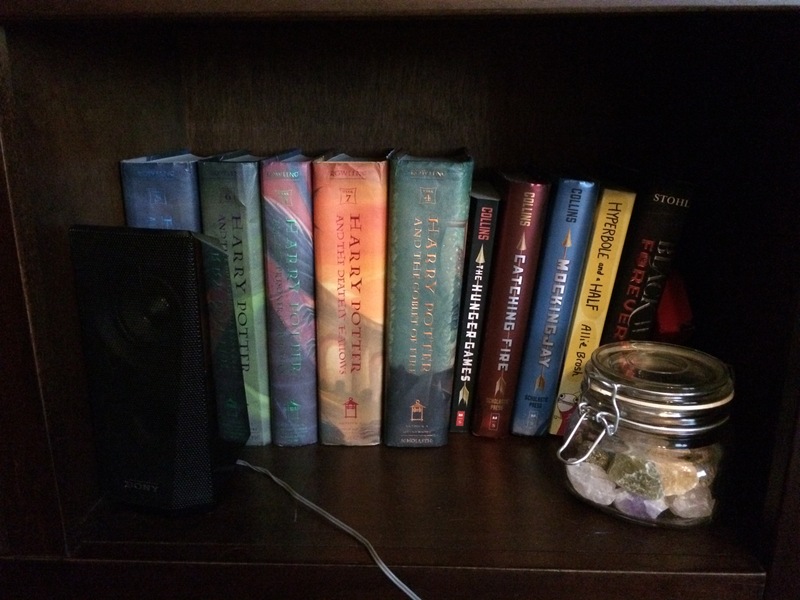 This entry was posted in Books, Reading and tagged Books, bookshelf, bookshelves, readers, Reading, writing by Sarah McElrath. Bookmark the permalink. Hi Sarah, interesting article. I think I’m a bit of everything. One thing I do that I started to many books and jump back and forth. Probably not the best way to read books. I think maybe a lot of people are a bit of everything. 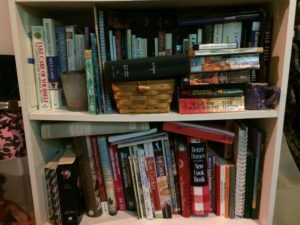 I can jump back and forth between non-fiction and fiction — but if I have too many fiction books going at once it gets confusing. I like to immerse myself in that story. 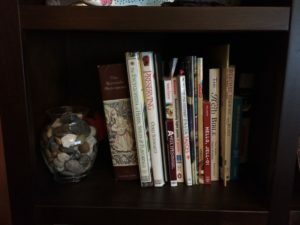 When I started writing this post, I was surprised by how many non-fiction books were on my bookshelves — I tend to think of myself as primarily a fiction reader. Still, a lot of the non-fiction has to do with what I’m writing. Did you neglect night stands, end tables, coffee tables? And is CTB another type of person? I have books everywhere, sometimes on the floor.